 DPS Global Recruitment is well established and operational throughout the Middle East where Doctors, Physicians and Nursing Staff are in high demand. Roger’s gift and talent for leading and inspiring his dedicated professional team to achieve its goals is the hallmark of its success. We are realistic of our expectations and firmly believe in an honest approach to business. Furthermore, if we believe we will not be successful in an assignment we will not agree to take it on. We work with you as a team, sharing our knowledge and experience to make it an easy and stress-free recruitment process. We create a bespoke service, tailored to your individual needs, making sure you are only provided with suitable candidates. Our commitment is our bond. Our friendly and professional team will support you from start to finish. We guarantee success. If we take on an assignment we will find suitable candidates to meet your criteria. We keep you fully updated on all stages throughout the recruitment process. Over 30 years’ experience and knowledge in the Healthcare industry. For more information or to utilise DPS Global Recruitment services, contact us now. Once again I would like to thank you and Roger for giving me this job. I’m so grateful and highly appreciate all you help.